If you’re searching for top-of-the-line comfort and efficiency, your quest is officially over. Our company offers a wide variety of high-efficiency Gas Furnaces, from variable-speed gas furnace to single- or two-stage heating. 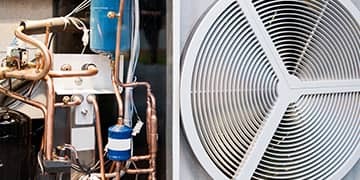 South Fraser Heating & Cooling Gas Furnaces are long-lasting, high-quality and energy-saving, which is precisely why they are the choice of many modern homes. At South Fraser Heating & Cooling we specialise in installing and offer a wide selection of premium Gas Furnaces that will make your home feel warm and snug all year long. 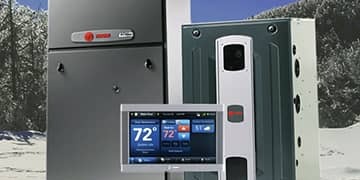 Trane’s top of the line furnace features the industry’s first true communicating, fully modulating gas valve, and an AFUE of up to 97.3%. Thanks to ComfortLink™ II technology, the XC95m works with other system components to learn and adapt to your specific home, providing truly optimized, customized comfort and efficiency. Two-stage heating uses gradual, steady warmth for efficiency, with plenty of reserve heat on standby when needed. The XV95 can achieve up to 97% AFUE. During the summer, Comfort-R™ technology slows airspeed during startup for quieter operation and more precise humidity control. The XL95 can achieve up to 96% AFUE. With a four-speed blower motor that delivers consistent, even comfort, while the two-stage heating optimizes your fuel use for greater efficiency. With High Efficiency Motor Converts up to 95% of its fuel while minimizing electrical usage, contributing to the efficiency of your entire system in both heating and cooling seasons. Single-Stage Operation With an equal emphasis on comfort and efficiency, the Trane XR95 single-stage furnace converts 95% of the fuel it uses into warm, cozy heat. Dependable performance and efficiency so your home and budget can be comfortable. AFUE of up to 92.1%. Every home deserves best-in-class efficiency, peace of mind , and true control of its indoor environment. Trane gas furnaces are packed with state-of-the-art technology for exceptional comfort. Trane product are designed down to every detail and rigorously tested for reliability and durability. In fact, unlike other manufacturers, Trane engineers design, build, test, and rebuild some of our own parts. From the durable Climatuff® compressor to the exclusive Spine Fin™ coil to the revolutionary Hyperion™ air handler—and a number of other patented innovations—when you own a Trane, you’re getting more than reliable comfort and you’re getting it year after year. 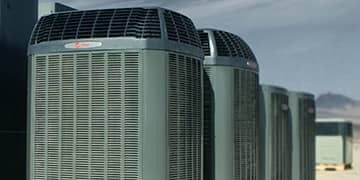 With over 1500 patents and counting, Trane is considered one of the world’s leading HVAC manufacturers. Trane engineers are respected industry-wide for their skills and performance in designing advanced residential systems that provide home owners across the world with the highest level of comfort and efficiency. Trane's limited warranty (registration is required within 60 days of installation) provides homeowners with protection in case a component of the system fails. An option to purchase transferability of your Registered Limited Home System Warranty is available. Optional Extended Warranties are available. Extended Warranties can pay for labor and other costs not covered by manufacturer’s limited warranty. Ready for your next HVAC project? Our professional technicians and trained staff are ready to help. Start by getting a quote today! 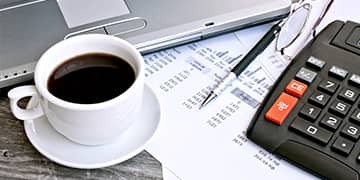 Quick, Easy & Affordable HVAC Financing is available for you! With service technicians based throughout the Lower Mainland area, South Fraser Heating & Cooling is able to quickly respond to your service call , no matter where you are located in the region. Our friendly technicians regularly attend training programs, upgrading their skills and learning about new products, so when you call our team, they can repair or service your system quickly and efficiently. Whether you are installing a system in a new home or replacing an existing heating or cooling system, South Fraser Heating & Cooling is here to help. We offer industry leading products with industry leading warranties. Our staff are trained to identify your needs and get you the best heating or air conditioning system for your home and lifestyle.